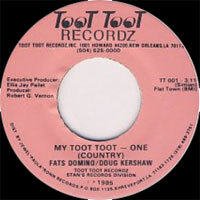 Duo Country US formé par Rusty Kershaw (né le 2 Février 1938) et Doug Kershaw (né le 24 Janvier 1936 à Tiel Ridge, Louisiane). Ils font leurs débuts en 1944 dans l'orchestre de leur ainé Nelson "Pee Wee" Kershaw. 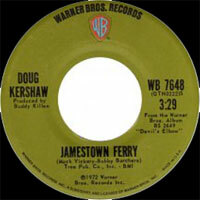 En 1953, ils enregistrent pour Feature Records de Crowley, puis pour Hickory de Nashville (Tennessee). 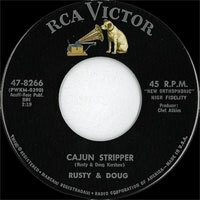 Rusty And Doug Kershaw se sont séparés en 1964, après une période RCA, Doug faisant cavalier seul chez Warner Bros. Records. Rusty est décédé le 23 Octobre 2001. 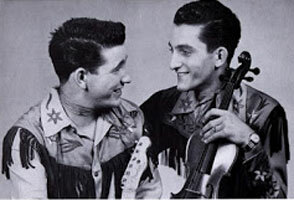 US Country duo formed by Rusty Kershaw (born February 2, 1938) and Doug Kershaw (born 24 January 1936 in Tiel Ridge, Louisiana). 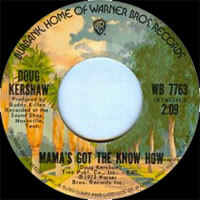 They make their debut in 1944 in the orchestra of their elder Nelson "Pee Wee" Kershaw. 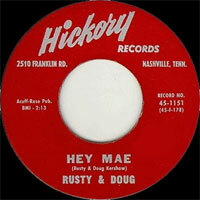 In 1953, they recorded for Feature Records of Crowley and Hickory of Nashville (Tennessee). 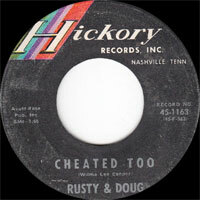 Rusty And Doug Kershaw separated in 1964 after a period RCA Doug doing it alone at Warner Bros. Records. 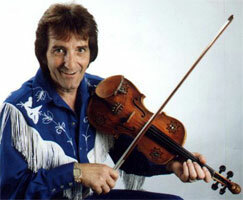 Rusty died October 23, 2001. 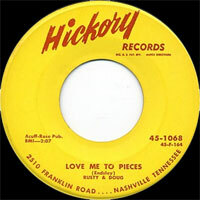 06/1955 SP HICKORY 45-1027 (US) . 19?? 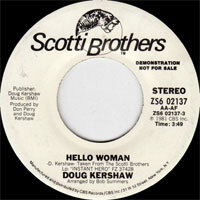 SP MOONGLOW 5057 (US) . 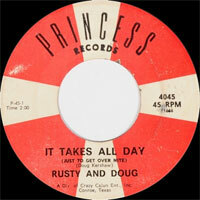 Rusty & Doug - Love Me To Pieces / ?